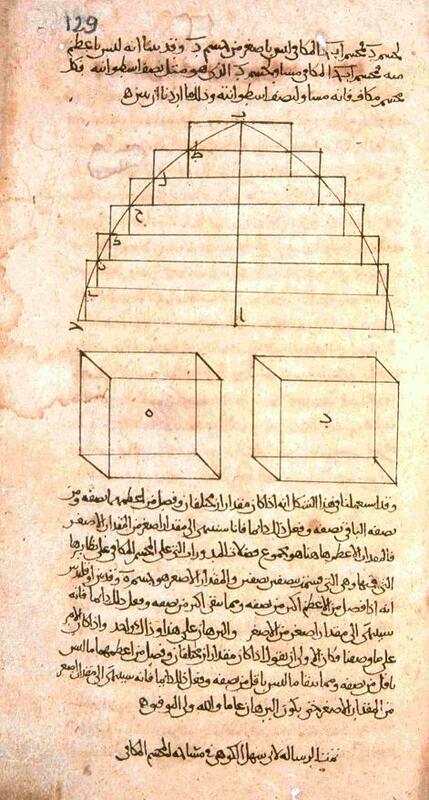 Muslim contributions in the field of mathematics have been both varied and far reaching. This article by Mahbub Ghani (from the Department of Electronic Engineering at King’s College, London University) considers some Muslim contributions in algebra, focussing in particular on the contributions of scholars such as Al-Khwarizmi, Ibn Qurra, Al-Karaji and Al-Samaw’al. Figure 1. Some geometrical shapes from Suhayl al-Quhî’s book “Fî istihraci mesaha al-muhassama al-maqafî or Risala-i abu Sahl”. Suleymaniya Library, Ayasofya 4832. There are many occasions where we are confronted by problems in which we are concerned with determining the value of an unknown quantity. Often, these problems are problems of geometry: for instance, given a line segment AB, we wish to divide it into segments AG and GB, such that the rectangle whose sides are AB and GB is equal to the square whose side is AG. The unknown item here is the segment AG. Such puzzles were very popular amongst the Greeks, many of them stated and solved in Euclid’s celebrated work, the Elements. Problems involving unknowns are not limited to geometry, however; the famous mathematician of antiquity, Diophantus solved the following purely numerical problem in his Arithmetica: To find three numbers so that the product of any two added to the third gives a square. Nowadays, from an early age, students are taught to treat problems like the above in a unified way using the tools and techniques of algebra. This unified approach was developed and placed on firm foundations by Muslim scholars, one of the earliest and well-known being Mohammed bin Musa Al-Khwarizmi. It is due to Al-Khwarizmi that we have acquired the name algebra, transformed from the Arabic word al-Jabrappearing in the title of his most famous treatise, Kitab al-Jabr Wa l-Muqabala, literally meaning, “The book of restoring and balancing”. Confident in their own values and traditions, Muslim mathematicians benefited from their encounters with great civilisations, often integrating their ideas and techniques within a broader, more general framework. This was certainly the case with algebra. On the one hand, Muslim scholars were thoroughly versed with the work of the Greeks in geometry, having translated and produced critical commentary on crucial works such as Euclid’s Elements and Archimedes’ Sphere and Cylinder. The numerical and arithmetic work of the Babylonians also came under the scrutiny of the curious Muslim intellect. Of special interest to Muslim scholars were the investigations carried out by Hindu mathematicians as early as the late fifth century CE. For instance, Brahmagupta in the first half of the seventh century CE is interested, like the Babylonians, in what we today know as quadratic equations, and gave numerical procedures for obtaining their solutions. Recognising the effectiveness of numerical methods of the Hindus and Babylonians and the certainty provided by the axiomatic approach based on proof from the Greeks, the Muslims drew together these two strands to produce the new science of Algebra. Figure 2. An artistic impression of Nasir al-Tusi on an Iranian stamp. 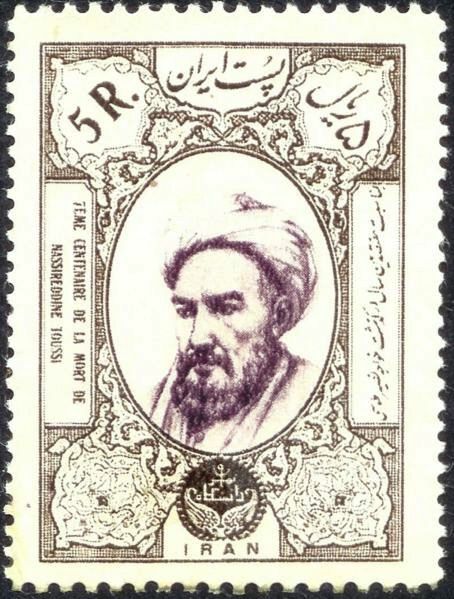 Al-Khwarizmi’s main concern was with quadratic equations possessing positive roots, which he noted can be encountered in one of three standard forms. These equations involve three kinds of quantities: simple numbers, the root (which is the unknown, x) and wealth, known as Mal in Arabic and is the square of the root. The labels indicate the real world motivation that often drove such enquiries within Muslim civilisation. Al-Khwarizmi then proceeded to describe in detail the numerical procedures that solve particular examples of equations drawn from one of the three standard types. The formula that is recorded is nothing more than a verbal description of the standard quadratic formula that we learnt at school. The distinguishing feature of Al-Khwarizmi’s work, and indeed of his successors, is the proof that is provided for the validity of the numerical procedure using the axioms and theorems of geometry. Thabit bin Al-Qurra extended Al-Khwarizmi’s contributions by demonstrating the validity of the formula for the unknown of general classes of quadratic equations. He undertook this by first stating basic theorems of geometry from Euclid; the various entities in the equations, including the unknowns are related to the corresponding geometric quantities, namely line segments and areas; finally using this geometric interpretation for the terms of the equation, Al-Qurra was able to show the correspondence between the geometric and algebraic solutions. “Students who have struggled with the law of signs may find comfort in learning that at one time the discovery of these rules taxed the ingenuity of the best mathematicians, and that the discovery of much of our elementary (pre-calculus) mathematics was a matter of considerable labor and many false starts”. Figure 3. 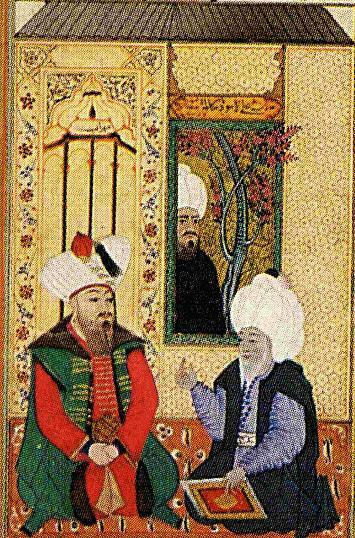 The miniature of Ala al-Din al-Aswad from Tarjama-i Shakaik al-Numaniya, TSMK, H 1263. 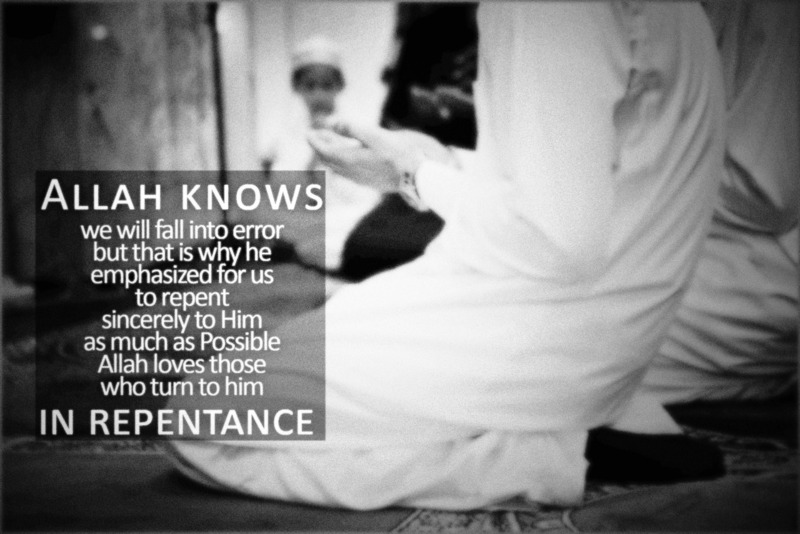 A smart believer should hurry to repent for his sins…. To delay making tawba by succumbing to the temptation of Satan is like wasting one’s life which is one of the worst things one can waste. A smart believer should hurry to repent for his sins and prepare himself for the moment of his last breath. “I am a tailor, I sew clothes”. “To take my scissors and cut the cloth”.